Today we have the pleasure of introducing Linda Washington to you! Linda is one of our beloved authors and she’s also hopping on board with us to guest blog for RoseKidz! We’re very excited to have her! She’s the author of some of our bestselling boys and girls devotionals God and Me! and Gotta Have God and much more! Favorite Pet or Animal: No pets, but I love dogs and cats. Question you get asked most by readers: “Where do you get your ideas?” Sometimes I’m inspired by books I read. God is usually the one who helps me decide what to work on. Where do inspirations come from? : Usually that I read or see. I taught Sunday School for many years, so I’m usually around kids. Anything fun facts about you? : I can’t wiggle my ears but I love to play video games. I also inline skate. What are you working on next? I’m finishing up a 60,000-word middle grade contemporary novel (it’s a fantasy)… Earlier this year, I wrote curriculum for preschool and kindergarten for Christian schools. How can fans and readers connect with you? Facebook, Twitter, my blog, and Pinterest! Subscribe and keep checking back for more from Linda–including details of this fantasy novel she’s working on–and guest blog posts from her! 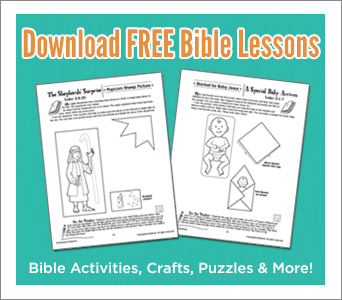 This fully-illustrated boys devotional from Legacy Press helps boys ages 10-12 know how to rely on God as they learn more about the Bible and themselves. Volume 1 features over 100 devotions, cool stories, Bible activities, challenging puzzles, mind-bending mazes, and more! Have you ever wondered what God is really like? God already knows everything about you and He wants you to know Him too. Gotta Have God devotions will help you find out more about God and His ways. If you are like most guys, there is stuff in your life that needs God’s help. That’s what’s really cool about this devotion—it talks about topics you face at school, home, and church. After each devotion, it includes an activity, puzzle, maze, or reflection questions that will help you grow closer to God. Shop Now! This fully-illustrated girls devotional from Legacy Press helps girls ages 10-12 know God and His ways. Volume 1 features over 100 devotions, cool stories, Bible activities, fun crafts, recipes, and more. Have you ever wondered what God is really like? God already knows everything about you and He wants you to know Him too. With this preteen devotional, find out more about God and how to follow Him. Discover how God wants to use your unique talents and gifts. Whether you love reading or playing sports, find out how God can use your talents to bring people to Christ. Shop Now! This fully-illustrated girls devotional from Legacy Press helps girls ages 10-12 know how to love God and love others. Volume 2 features over 100 devotions, cool stories, Bible activities, fun crafts, recipes, and more. Worship and loving God isn’t just something adults do. You can do it too! With this preteen devotional made just for girls, you will discover how to love God and love others. Covering everything from being thankful to being friendly, this girls devotional doesn’t just talk about loving God and others—it shows you how. It also shares some cool tips on how to “grow up” in a way that pleases God. God has designed you to be confident, courageous, and caring. See how to walk in this truth with these girls devotions. After each devotion, there is a fun activity, craft, journal, recipe, or puzzle to help you grow even closer to God! Shop Now! Hi Linda, Thank you for the books you’ve sent to Preston. My hostess Marie loves the devotional and uses it all the time, and has found it to apply to specific issues in her life on particular days. Great gift! Thank you. I love your Dad. He helps me laugh at things & tries to help me keep my feet on the ground. Hi, Ron! So glad you enjoyed the books. Thanks for looking out for my dad! I just talked to him the other day!